Mohammad Chowdhury bears the scars of his profession. A long scar stretches across his throat, a memento of a five-inch knife wound he received during a March 28 attack. It took 18 stitches to put him back together. Chowdhury is not a police officer, a solider or emergency responder. He drives a cab. At 4:30 a.m. as Chowdhury, off duty, headed home at the end of his shift, two women asked him to drive them to the Bronx. One of the women started to urinate in the cab. Chowdhury pulled over and demanded that she use a restroom. The woman opened the door and urinated on the sidewalk, and Chowdhury repeated his request that she use a nearby bathroom. That is when the woman grabbed him by the head and started assaulting him, eventually using a utility knife to slash his throat. Chowdhury was rescued by emergency medical workers who saw the attack. The general public might not think driving a cab is particularly dangerous, but cabbies say that their profession is one of the most hazardous in the country. 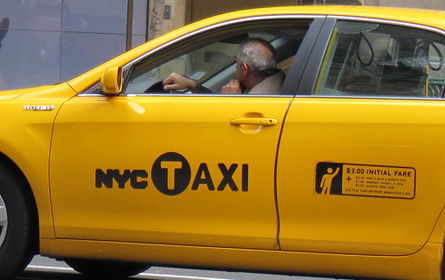 The New York City Police Department estimates that around 100 cabbies have been robbed this year but the New York City Taxi Workers Alliancesays that a large number of attacks go unreported by cabbies. A 2002 report by the U.S. Department of Labor found that drivers who work 12-hour shifts are 60 percent more likely to be killed on the job than most workers. In an effort to help change that, State Sen. Eric Adams and Assemblyman Rory Lancman have proposed the Taxi Driver Protection Act, which would make it a class D felony in New York State to assault a cab driver, even if only minor injuries are incurred, and would mandate that signs be placed in every cab warning that "Assaulting a Taxi Driver is a Felony Punishable by Up to Seven Years in Prison." The new law might not punish Chowdhury's attackers anymore than they normally would be because of the brutal nature of their assault but there is hope that having a stiffer law on the books and the warning sign would deter future attacks. Taxi driving is routinely ranked in the 15 most dangerous jobs in America. It was estimated in 2008 that 19.3 cabbies died for every 100,000 drivers. They carry cash, they travel all over the city, and their backs are constantly to the people they are serving. While attracting support from drivers and some officials, the measure is by no means assured of passage. The bill enjoys considerable support in the Assembly, where it has multiple cosponsors, but so far the Senate bill has no cosponsors. The head of the city Taxi and Limousine Commission, David Yassky endorses the legislation. "Taxi and for-hire vehicle drivers provide an important public service to our city, and we need to maximize their safety. The Taxi Driver Protection Act will send a strong and clear message that violence of any kind against drivers will not and cannot be tolerated," said Yassky. States including California and Illinois have stiff felony penalties for assaulting drivers, and other states employ warning signs. Those expressing reservations about the bill question whether the state should distinguish between the job of the victim in setting penalties. "There is always a concern about legislating for each individual profession in the state. We don't want a bill for each one," said Assembly Minority Leader Brian Kolb, who said he is not sure whether he will support the bill. "Having said that, they have a bill for transit workers, and taxi workers are certainly in more danger than most because of the situation they are in -- with their backs to riders. It is dangerous, and in general we have to do something about it." But that something is not necessarily voting for the Taxi Worker Protection Act. Kolb said he needs to reconcile his concerns about the legislation before deciding how he will vote. Senate Republicans have similar concerns and said they would need more time to consider the legislation. In 2008, as Kolb mentioned, the legislature passed a law that makes it a class D felony to assault transit workers, including bus drivers, station agents and traffic enforcement agents. Adams addressed a rally of taxi drivers on Tuesday to cheers and loud chants. Assembly members Lancman, Michelle Schimel, Michael DenDekker and Michael Benjamin also spoke in support of the legislation. 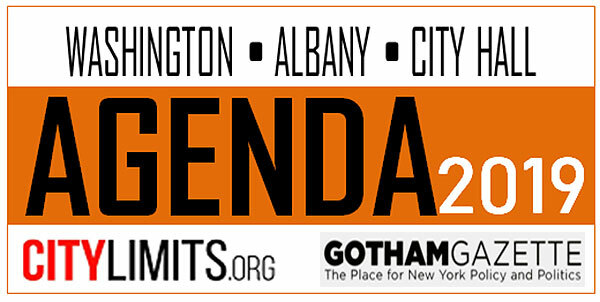 "You can't ever predict what is going to happen in Albany, but we are pushing this as hard as we can," said Adams. Mohammed Chowdhurry was by no means the only cabbie at Tuesday’s rally with scars and stories to tell. Nearly 100 other cab drivers took the day off from work to drive to Albany to lobby on their own behalf. They circled the Capitol in a motorcade, honking their horns. And then they took to the capital to tell their stories. Mamnun Ul Haq told the crowd that, in 2005 he drove himself to get help after a passenger stabbed him in the back with a 10-inch hunting knife. The knife grazed his lungs and came near to his spine. He figured he would die on the operating table. He survived but spent years working his job afraid that he would be attacked again. He has recently taken up a different trade. In 2007 Gurmail Singh was beaten in the head with a metal rod while exiting his cab at the end of the shift. On April 29, 2010, J. Singh was hit in the head with a metal rod and told to "go back to your country." Many other cabbies said they too were attacked because of their religion or ethnicity. The stories go on and on. Legislators and drivers admit that the legislation will not stop all violence against taxi drivers, but they hope it will go a long way to deterring at least some of it. 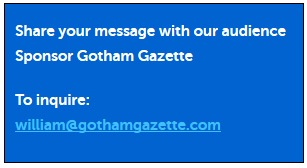 "We are impatient," said Lancman. "This is not some kind of esoteric debate. This is going to change people's lives. We feel a real sense of urgency to get this passed because we are sure it will save someone's life." The brightly colored tour buses rumbling down Broadway are about to get muffled. The City Council approved legislation Thursday, which turns down the volume on the tour bus industry by requiring all open-air tour buses give passengers headphones instead of blasting corny commentary over loudspeakers. The bill comes after years of complaints from local residents, who say wailing from a passing double-decker constantly interrupts their peace and quiet. "The buses in the high season come every five minutes," said Barbara Becker, a resident of Bleecker Street for the last 40 years. "It permeates your living room, your kitchen." The tour bus industry opposes the bill. Under the legislation, (Intro 182) which was approved by a vote of 44 to 2, all open-air tour buses will have to be equipped with headphones by 2015. At least 10 percent of the open-air fleet must have headphones by July 2011. When first introduced, the bill would have applied to every tour bus -- whether it is enclosed or not. Officials called the final version of the bill "a good balance." "We can't neglect that the tourists come to a city where in all neighborhoods people live," said Council Speaker Christine Quinn. "We wanted to make sure we passed legislation that brought residents a little more quiet, a little bit of ability to sleep in the city that never sleeps, but also created appropriate regulation that would allow the tour bus industry to continue in the city of New York." Of the 250 tour buses registered with the Department of Consumer Affairs, 170 of them are open-air, according to the council. Quinn also said that the thousands of tourists sharing headphones did not pose sanitary concerns. A spokesperson said the mayor would sign the legislation. 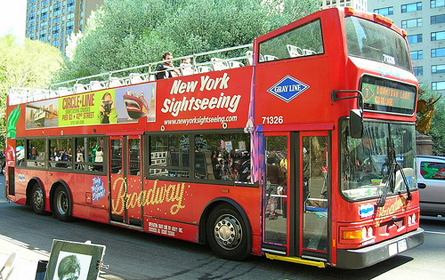 At a hearing earlier this month, Thomas Lewis, president of tour bus company Gray Line New York Sightseeing, testified that his company had received only a handful of complaints over its 15-year existence and its buses work within legal noise levels. "We strongly prefer to address this issue on a neighborhood by neighborhood and a block by block basis, rather than the 'killing an ant with a sledge hammer' approach that this broad citywide mandate imposes," Lewis stated in his testimony. Bus operators that do not have headphones could be subject to a fine of between $200 and $750 per day and could have their licenses suspended. Some critics of the bill fear that equipping the buses with headphones could spur companies to replace tour guides with taped messages, which isn't prohibited by the legislation. Officials, including the bill's sponsor, Councilmember Gale Brewer, said they would make sure tour guide jobs are not lost and buses keep their persons and personalities. "A tourist wants a person," said Brewer, who has been called out to from a tour bus while walking on Sixth Avenue. "They want the nuances of the neighborhood." The council also approved two bills (Intros 37 and 153) requiring the Department of Juvenile Justice to report demographic and restraint data to the council every year. Under the bills, the department will have to report the race, gender, zip code and ethnicity of every individual confined in juvenile facilities. The department will also be required to report any instances of physical restraint, mechanical restraint, room confinement and any allegations of abuse. Runaway horses aren't the only things to worry about during carriage rides in Central Park. The industry might now gallop off with your wallet. In an attempt to whip the horse carriage industry into shape and diffuse criticism that it's inhumane, the City Council approved a bill (Intro 35) Wednesday that implements new safety and stable conditions for horses, but also doubles carriage ride rates. A half hour ride around Midtown now costs $34. The rate will jump to $50 for the first 20 minutes. Council officials said the increase is warranted, because rates have not been touched in 20 years. They also say the bill implements important humane standards for the horses, giving them a five-week vacation outside of the city every year and requiring larger stalls. Despite its intent, the bill was not supported by some animal rights activists, who argue the horse carriage industry should be eliminated altogether. "New York City is not the ideal environment for it. It's not going to be an ideal environment for it," said Michelle Villagomez, a senior manager at the ASPCA. "Unfortunately, the city and the industry have been unwilling to really put the horses first." The ASPCA had urged the council to approve a bill to replace the carriages with antique automobiles. The carriage horse industry overwhelmingly supports the legislation. Its members filled the second floor balcony of City Hall as the council voted. When the council approved the bill by a vote of 43 to four with one abstention, they applauded. In addition to the initial rate increase, the legislation will allow carriage horse operators to adjust rates for inflation every three years. Stephen Malone, a spokesperson for the Horse and Carriage Association of New York and a carriage owner and operator, said the rates are a maximum. If tourists balk, he said, the driver can negotiate. "We're not in business to go out of business," said Malone. "These are all provisions put in place to protect the sustainability of the industry." According to testimony from the Department of Health and Mental Hygiene on the bill, there are 202 licensed carriage horses, 68 carriages, 19 stables and 284 licensed drivers. In addition to the five-week furlough, the carriage industry will have to provide horses with heavy blankets in cold weather and put emergency brakes on their carriages. A horse will now have to be between the age of 5 and 26 to pull a carriage. The bill still allows carriages to operate on days from 18 degrees to 89 degrees. Advocates had urged the city to factor in wind chill and humidity. The bill also does not change the number of hours a horse can work. Horses can now pull carriages for two hours at a time with a 15-minute break, said Malone. On average, he added, carriages only receive one ride an hour, meaning each driver and equine get a lot of down time. They can work for nine hours in a 24-hour period. The bill will require horses see a vet before a carriage license can be renewed and every four to eight months after. Carriages will now be prohibited below 34th street. In 2007, then Comptroller William Thompson audited the industry and found it was infrequently inspected and health conditions for horses were substandard. The audit was released as several accidents led to the death of several horses. In response to criticism of the legislation, Council Speaker Christine Quinn defended the horse carriage industry, saying it was an iconic activity for any visitor to the Big Apple. "We want to support this industry," said Quinn. "We want to keep it alive and running." The City Council also gave the OK for a 754-unit, mixed-use development, Rose Plaza on the River, to take root in south Williamsburg. The development will include about 25,000 square feet of community and commercial space, and extend open space along the Brooklyn waterfront south of the Williamsburg Bridge. For weeks, officials questioned whether the community and the developer, Isack Rosenberg, would be able to reach an agreement over the size of the units and the amount of affordable housing. Up until Tuesday night, the area's council member, Stephen Levin, had not expressed support for the plan. Under an agreement reached between Levin and the developer, the mixed-use development will make 30 percent of its units affordable, including 144 that could accommodate large families. "This project has not been without controversy, but I am pleased to report we have come one step closer to reclaiming the Williamsburg waterfront," said Levin. "Affordable housing is desperately needed throughout the city and it is essential to communities like Williamsburg that have suffered from gentrification over the past several years."